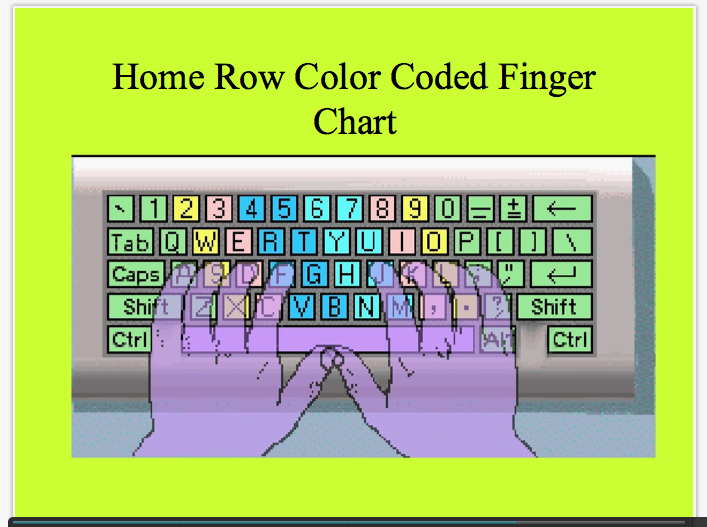 Students in grades 3-4 learn keyboarding (typing) skills through this Web site. 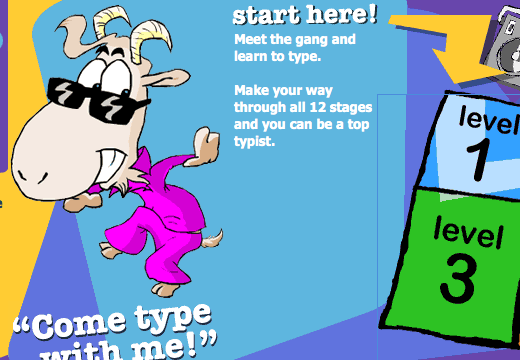 Typing Pal Online is available both from school and home. You’ll need a login name and password, which are given to you at school, in order to access the lessons on this site. 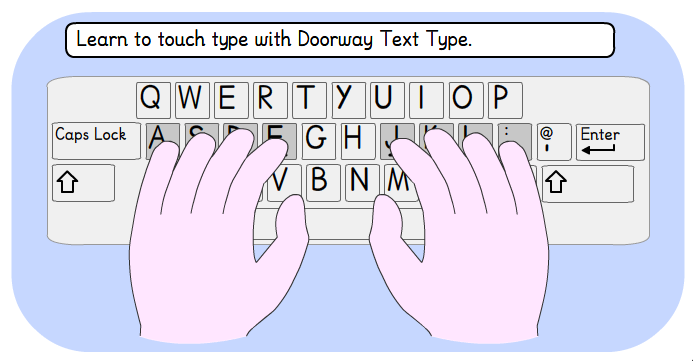 The BBC Schools present these delightful lessons to help young students learn to type. Doorway Online is a collection of free learning activities provided by the Scottish Borders Council. The suite comprises highly accessible educational activities that learners will find easy to use independently. Each exercise has range of accessibility and difficulty options. Big Brown Bear offers challenging lessons. Try to complete each lesson with at least 90% accuracy and 15 words per minute! Homekeys Kennys This game works on the home keys. Type the letter for each Kenny to make him disappear before the timer counts down to 0! 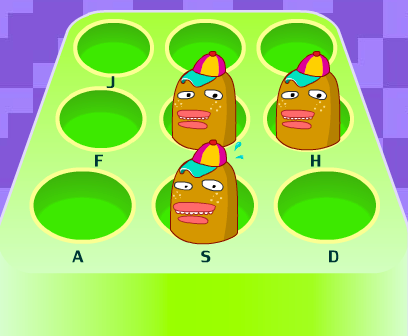 Bubbles (homekeys + e i) This game works on the home row keys plus the letters e and i. Type the letter in the bubble before it reaches the top of the screen. 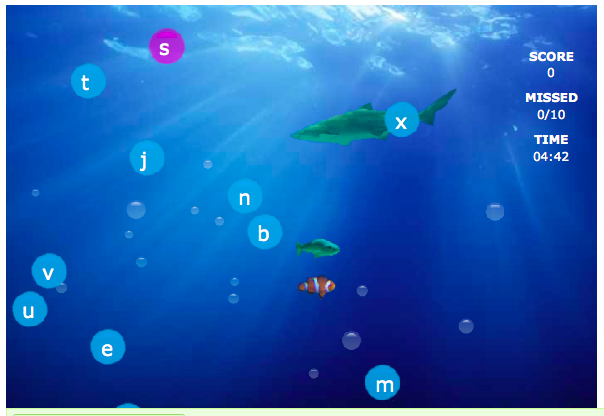 You get more points for typing letters in green or purple bubbles than in blue. Beware! If 10 bubbles reach the top of the screen, you lose. Spacebar Invaders This game allows you to select the keys to work on. To begin, select Lesson #1: Homerow only and level Beginner. Have fun! 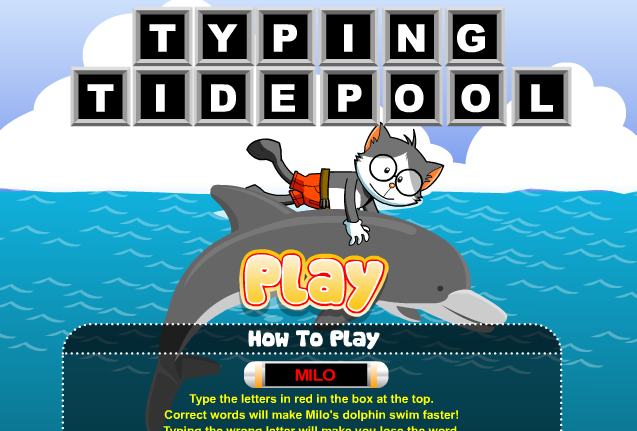 Typing Tidepool In this game, you type words that use all the letters on the keyboard. Enjoy! 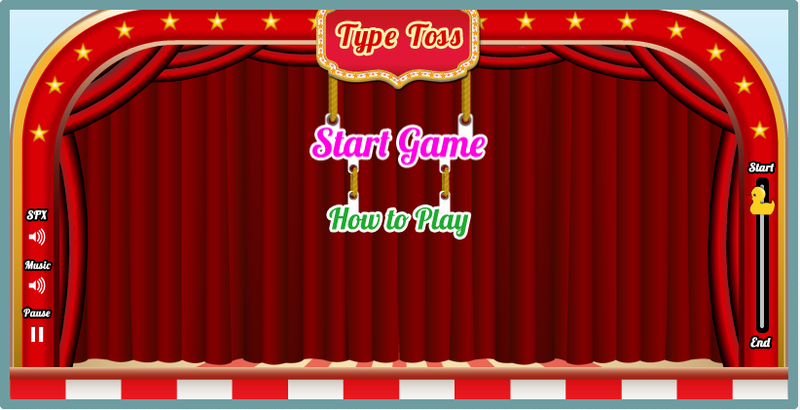 Type Toss Wait for the game to load. Don’t click the ad! 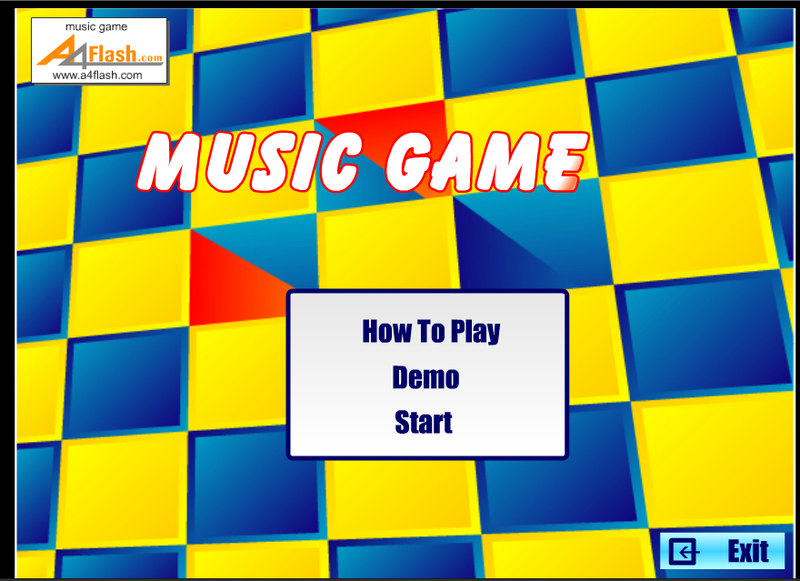 Then choose your level and lesson type to practice whole words using all keys on the keyboard. Have fun! 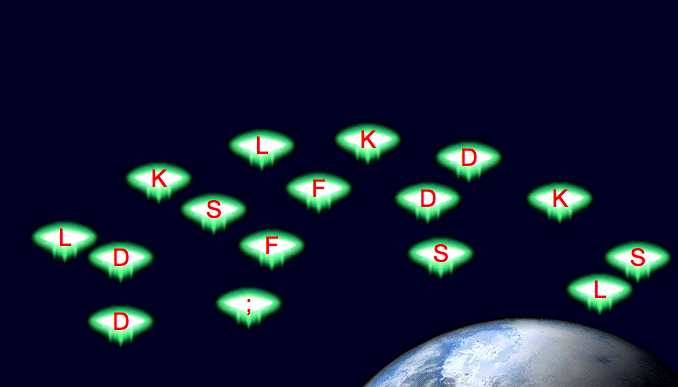 Key Master 3 Invaders are coming towards you, and you can stop them by typing the words they carry! If you see a metal key, you gain extra points by typing its name. Start with the Apprentice Level. 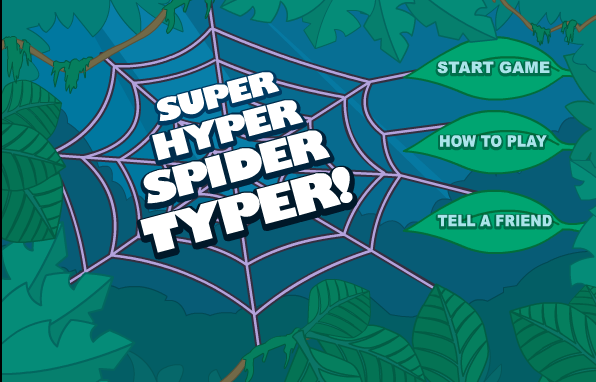 Super Hyper Spider Typer Help Berry the spider reach the web by typing the letters or the words on the chameleons who are trying to eat him! You must play 10 rounds within each level to win. 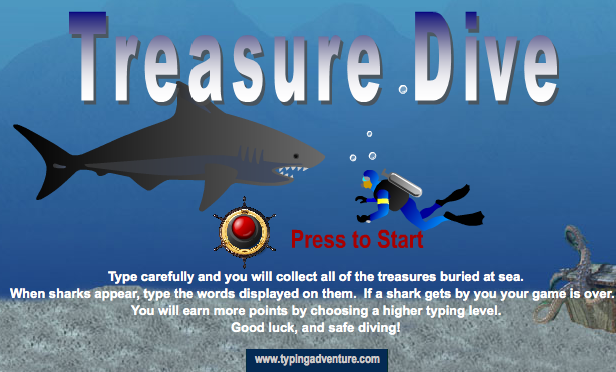 Treasure Dive Help find the sunken treasure by typing the words on each fish! 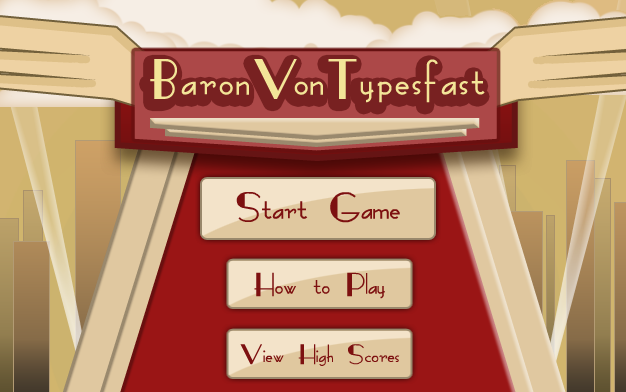 Baron Von Typefast Choose any level of difficulty, and then choose “Easy Words” or “Hard Words.” Type the words inside the dirigibles (lighter-then-air aircraft) before they reach the Baron! Be sure to wait for the game to load (don’t click the advertisement!). 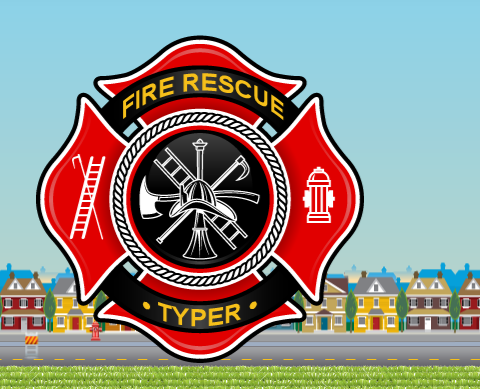 Fire Typer Choose any level of difficulty, and then choose “Easy Words” or “Hard Words.” Type the words you see so that the firemen can point the hose where there’s fire! Be sure to wait for the game to load (don’t click the advertisement!). 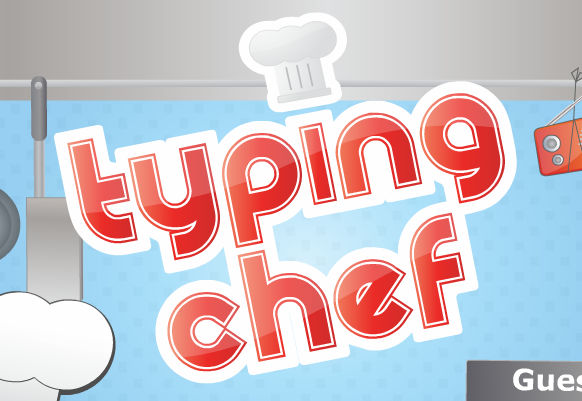 Typing Chef Type the words in the bubbles before they reach the top of the screen, the bottom of the screen, or the knife. The words are long and challenging! Music Game Type the falling letters just at the moment they strike the keys at the bottom of the screen. 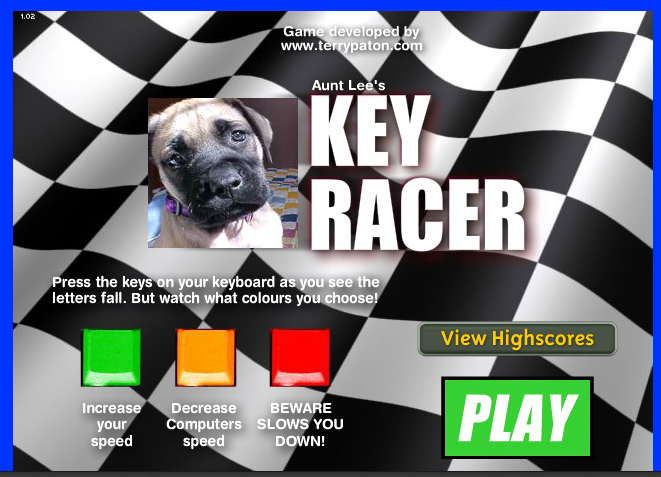 Key Racer Type the letters before they fall, but watch the colors you choose! Space Invaders Press SPACEBAR to begin. Type the letter in the leading invader. 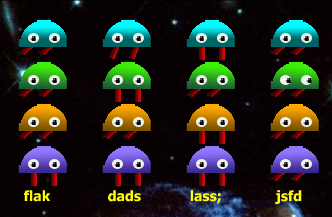 The more accurately you type, the slower the invaders can move! 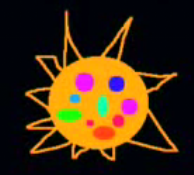 Scratch/Sprites You can make computer animations — games, stories, music videos, and more! — by using Scratch. Fifth-graders who exceed their keyboarding goals for the year take a special class to learn how. To get started, you can see lessons at: Pike Sprites. 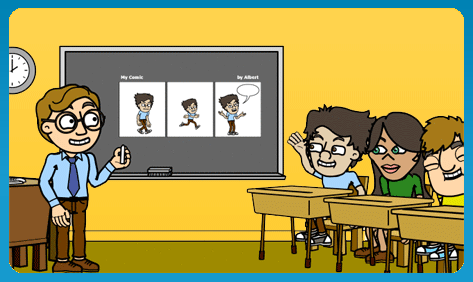 BitStrips In BitStrips, teachers create class logins so that all students in a class can make comics and then share them with each other online. Ask your teacher for a login! Story Strips Story Strips provides prompts to help students create comics about their own lives. Websites are selected for their authority, information quality, suitability, and stability. Please be aware that websites change over time.